Head of Iraq’s National Railway Company Taleb al-Husseini said talks have been held in that regard given the importance of Iraq’s railway network being connected to that of Syria before being linked to Iran’s railroad network. 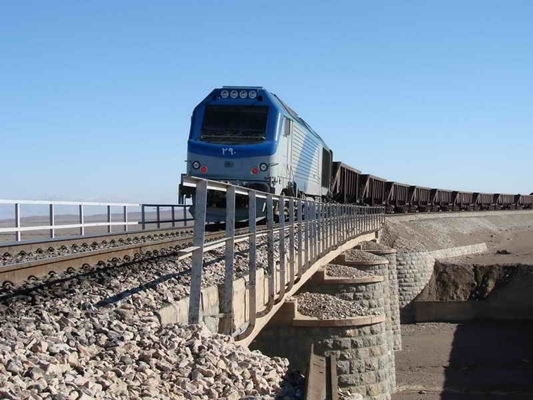 The remaining 32-kilometre stretch of railroad was completed during a recent trip to Iraq by Iranian President Hassan Rouhani and the following visit to Iran by Iraqi Prime Minister Adil Abdul-Mahdi. The two sides also agreed on how and when the railway should be inaugurated. Based on the agreement reached, the railroad from Khorramshahr will be connected to Iraq’s national railway network, making it possible to make major trade exchanges and transport passengers from Iran all the way to other parts of the Middle East.